Samsonite is running Push The Limit campaign to promote their Lite-Shock series of suitcases. Other than few TV spots which highlighted the various features of the new product, the brand has executed a detailed digital campaign. 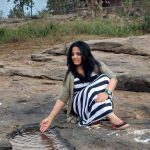 Social Samosa takes a look at the digital leg of Push The Limit campaign – identifying three main tactics that stood out in its execution. The brand has used popular faces, from stand-up comedians to influencers to talk about the Push The Limit challenge to spread adequate noise on social media. The brand got people like Kenny Sebastian, Kaneez Surka, Kunal Khemu, Malaika Arora, Neha Dhupia, Ranvijay and others who took up the challenge and passed it on to their fellow friends and colleagues. While, one showed how sturdy the suitcase is by hitting it with a hammer and a screw driver, others highlighted the light weight nature, by trying to push it with the help of a vacuum cleaner or an hair dryer. Each of these videos saw engagement, in terms of views and comments. Timed around Christmas and New Year holidays, when people are packing their bags for travel, the brand has plugged in to highlight how one and travel light with the Samsonite Lite Shock. In order to engage with the audience, the brand posted smart and eye-catching content on social media like – 5 unsuccessful ways to break the Samsonite and played around with it, in their other posts as well. The campaign has gained enough momentum and has managed to successfully create conversations on social media. According to KEYHOLE, the hashtag tracking tool, #PushTheLimit has acquired 1.9 million impressions and has 864,533 unique users on the internet. According to a report by Rediff.com, Indian branded luggage market was pegged at 6,000 crores in retail value and is growing at a rate of 9 to 12 per cent per year. 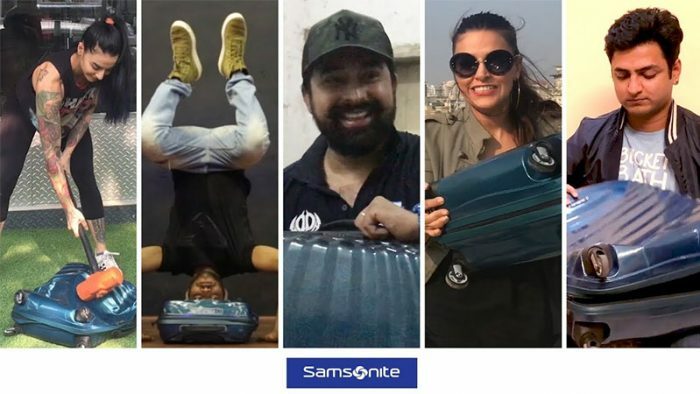 Reports further suggest that, Samsonite occupies 45 per cent of this market and has been slowly catching up with VIP Industries, one of the leading Indian players. Samsonite has been on an upward spree with the aim of occupying a bigger piece of the Indian branded luggage pie. With their marketing efforts, the brand seems to be in the right direction.